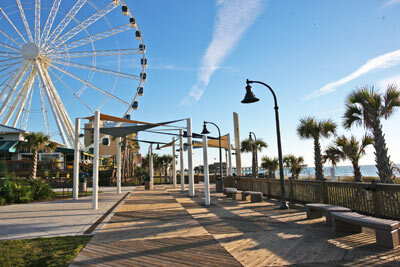 The Myrtle Beach area has a number of beach-going wheelchairs available for use at no cost on a first-come, first-served basis. Each of these wheelchairs comes with balloon tires and safety belts for those with disabilities. These wheelchairs can be acquired during the summer by going to the nearest lifeguard stand. Police dispatch is also available to assist guests with their wheelchair needs.